My approach when giving sessions is unique to each individual. I never use one modality or technique exclusively. Instead, I use whatever mix of modalities are appropriate for you and your situation. My approach has been informed by extensive training in several bodywork modalities, all of which approach healing from slightly different perspectives. Below is a description of the the main modalities I incorporate regularly into my session work. Biodynamic Craniosacral Therapy (also sometimes spelled “cranial sacral therapy”) is a form of bodywork which developed from the work of William Garner Sutherland (1870-1954), a doctor of osteopathy. Dr. Sutherland’s first discovery was an extremely subtle movement in the bones of the skull. He then began to notice this subtle rhythm present throughout the entire body—a repeating cycle of widening-filling-rising followed by emptying-narrowing-descending. As he explored this rhythm, he found a correspondence between the quality and strength of this movement and the health present in the individual. In simple terms, he noticed that the stronger and more vibrant the quality of this movement, the more easily and efficiently the body healed itself. This discovery later led to the development of craniosacral therapy, a form of bodywork that works therapeutically with this “craniosacral rhythm” or “tide.” Nowadays, a wide spectrum of approaches exist under the general umbrella of craniosacral therapy. 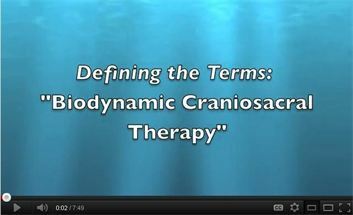 The biodynamic approach to craniosacral therapy is unique in that the practitioner’s main focus is on creating the conditions in which the underlying healing forces of your system are supported and amplified. The intelligence inherent in these healing forces then organizes into an inherent treatment process during which healing happens from the inside out. This approach complements and enhances the familiar approaches that work to correct issues from the outside in, such as medication, surgery, physical therapy, chiropractic work, or correction of energetic imbalances through approaches such as acupuncture and other forms of energy medicine. The heart of the biodynamic approach is an emphasis on contacting and coming into relationship with the underlying healing intelligence of your system. My job as a practitioner is to create the ideal conditions within which healing unfolds. The focus of these sessions is not directly on the disease or problem. This shift of attention relieves fixation on the disease conditions, allowing the natural intelligence of your system to come to the forefront and facilitate healing. When you experience biodynamic craniosacral therapy, you may begin to tangibly feel and experience the organizing forces at work in your body, as well as the quiet, still space that underpins them. As the healing process unfolds, you may also have insights about the health conditions you are facing. The beauty of BCST is that the emphasis is on creating the conditions that allow for profound healing from the inside out. You may also be interested in reviewing the results of this survey conducted with 237 international participants who received five or more biodynamic craniosacral sessions. The results are really quite stunning in terms of efficacy of this modality. Polarity Therapy was originated by Randolph Stone, D.O., D.C., N.D. (1890-1981). During his 60-year medical career, Dr. Stone developed a comprehensive theory which combines ideas and techniques from ancient and modern sources such as Ayurveda, Oriental Medicine, Psychology, and Osteopathy. 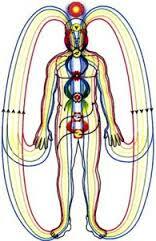 Polarity therapy supports and facilitates the free and natural flow of energy (life force) throughout your system. In my experience, polarity therapy is one of the most comprehensive, all-encompassing alternative healing modalities in existence. It includes supporting the natural flow of energy through the use of bodywork, specific and effective nutrition and exercise practices, and emotional/psychological body-based counseling utilizing the so-called “two-chair” process. The bodywork aspect of polarity therapy incorporates three kinds of touches: deep (like a deep massage), moving (rocking), and light (gentle, still holding). Each touch has a different purpose, and they work together to support the natural flow of energy throughout your system. 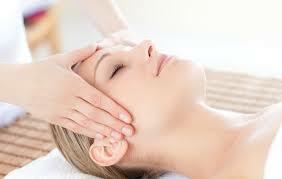 (Note that craniosacral therapy only uses one kind of touch, the gentle/still holding touch.) The theory and cosmology underpinning this therapy is so all-encompassing that it truly touches on all aspects of being. Quantum-Touch® is an energy healing modality and is theoretically similar to the biodynamic approach to craniosacral therapy. Just as with BCST, the underlying principle of Quantum-Touch® is that a healing intelligence exists at the essence of your being which comes to the forefront given the right conditions. Quantum-Touch® emphasizes the quality rather than the mechanics of this aspect of your being and describes that quality as Love. This theory directly acknowledges and emphasizes that you, as the receiver of the work, are actually the healer. As a Quantum-Touch® practitioner, my role is to raise and maintain a high energetic vibration with which your system can begin to resonate. This vibration creates the conditions within which the innate healing process flourishes.